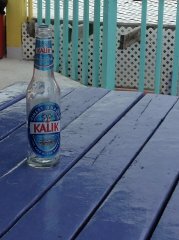 Our arrival in the Exumas two months ago was a stormy one. Our departure from the Bahamas is also a stormy one. Leaving Green Turtle, we worked our way west along the Little Bahama Bank while dodging fast moving thunder storms coming off the Florida coast. 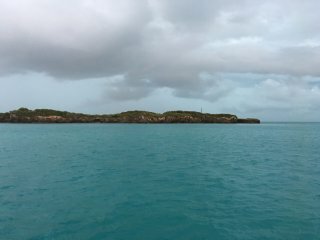 Our first stop Is Powell Cay, a small uninhabited island. We share the anchorage with two other boats. Lightning all around and wind gusts up to 40 knots keep us there the next day until mid afternoon. We then make our escape to Little Sale Cay 48 miles closer to Florida. 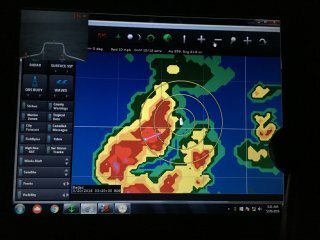 We again have storms roll over us while at anchor. 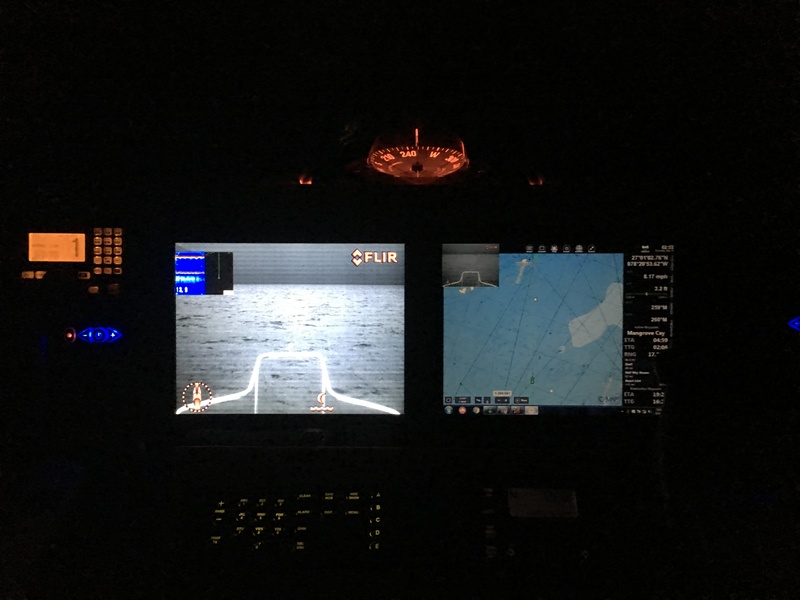 We weigh anchor at one AM and continued across the Little Bahama Bank in the predawn darkness with our FLIR showing the way. By 5AM the winds have increased to 25 knots out of the west and we have 3 ft. seas on the beam with more storms bearing down on us.. This was not in the forecast. We are only a few miles from Mangrove Cay and quickly decide to divert there and anchor until the storms pass. 8:30AM finds us once again underway. Because of the delay,we will no longer make Stuart by early afternoon. With storms again forecast for the afternoon along the Florida coastline, , the Gulf Stream crossing is not somewhere we want to be when the storms start popping. We decide to anchor on the Little Bahama Bank until midnight and make our crossing overnight when the weather systems are quieter. This anchorage is in the middle of the bank along a 10 ft. Sandbar with no protection whatsoever from land. Being surrounded by water 360 degrees make it hard to get your bearings. With light winds and calm seas we should be ok here. At midnight we haul anchor for the last time in the Bahamas this year. Memory Rock marks our path around the shallows into the Gulf Stream. It is just one little rock with a light beacon on top. Once in deeper water, we start to see thunderstorms again coming off the Florida Coast. We divert around several large thunderheads with lightning dancing all around. Luckily, we are able to miss most of the bad stuff. The remainder of the trip goes well with only 2 ft. seas and a light breeze. Within a few miles of the Stuart inlet, we call US Customs and close our float plan. We belong to the U.S. Customs Small Vessel Reporting System. This allows us to file a float plan electronically within 24 hours of departing from the Bahamas and check back into the U.S. with a single phone call. We do this for the first time and things couldn’t be easier. We are glad to be back home and are especially looking forward to seeing Nate our Amazon Parrot later today.. Our excitement is further heightened by the prospect of adding a new member to our family and crew. More details about this soon. This entry was posted on June 2, 2016 at 7:42 pm. You can follow any responses to this entry through the RSS 2.0 feed. You can leave a response, or trackback from your own site.